We become stressed when the pressures (stressors) in our lives become greater than our coping abilities. This can be real or perceived. The symptoms we display when we are feeling stressed are quite natural 'fight or flight' responses that all humans have. It is an evolutionary response which made us freeze or fun if we came across a sabre toothed tiger. Obviously this doesn't happen now, however we now have things in our life which although not life threatening, they cause the same reaction within our bodies. 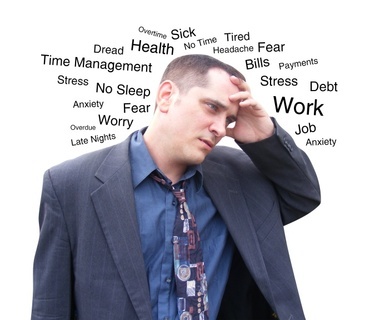 Issues like problems at work, presentations, social situations, and even everyday worries can all lead to stress. Not all stress is bad but too much can make us ill. It is said that stress is the scourge of the twenty-first century and stress within the workplace is now a recognisable consideration in litigation. Stress can manifest itself in many ways. While some people may become withdrawn or depressed, others may experience anxiety and panic attacks. Physical reactions may include headaches, insomnia and frequent infections. The role of a stress manager is to identify the causes of stress and teach the client specific techniques that help put them back in control. Although it is not always possible to eradicate stress from someone’s life, it is important to help clients identify and control their own personal stress reactions, whilst eliminating unhelpful coping mechanisms and understanding the causes of their stress. We offer a range of treatment options to help you manage your stress levels to keep you healthy and happy.